He is also theological advisor for Universities and Colleges Christian Fellowship (UCCF), a charity supporting evangelism in higher education throughout the United Kingdom. He was previously associate minister at All Souls Church, Langham Place and holds a doctorate in systematic theology from Kingâ€™s College London. Burning pyres, nuns on the run, stirring courage, and comic relief: the Protestant Reformation is a gripping tale, packed with drama. But what motivated the Reformers? And what were they really like? 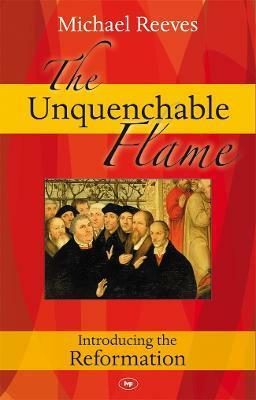 "The Unquenchable Flame," a lively, accessible, and fully informative introduction to the Reformation by Michael Reeves, brings to life the movement's most colorful characters (Martin Luther, Ulrich Zwingli, John Calvin, The Puritans, etc. ), examines their ideas, and shows the profound and personal relevance of Reformation thinking for today. 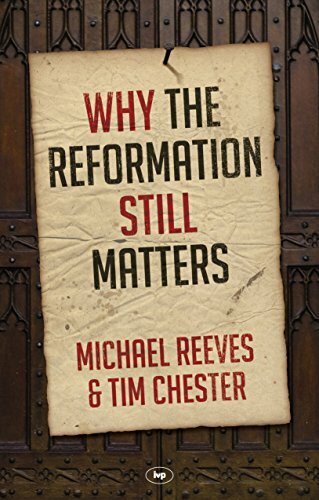 Also included are a lengthy Reformation timeline, a map of key places in the Reformation, further reading suggestions, and, in this U.S. edition, a new foreword by 9 Marks Ministries president Mark Dever.